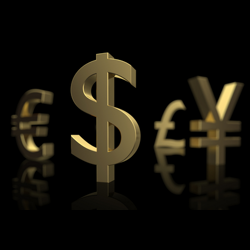 The currency market was still digesting signals from the Fed that rates may rise by the middle of 2015 yesterday and so the dollar continued to attract investors' interest. This saw the EUR/USD pair post another slump, losing 51 points to $1.3779, and reach its lowest level in two weeks. The short-term technical outlook has turned bearish, with the previously strong support around $1.38 now becoming resistance. Amid signs that the US economy continues to indicate growth, the Fed reduced its monthly asset buying by $10 billion to $55 billion and discarded the unemployment rate threshold. This saw the US dollar rally against the shared currency, gaining 102 points to $1.3831, as the market now believes that there will be a gradual distancing from a low rate economy. In positive news for the Eurozone, the Greek government managed to sell debt for the first time in 4 years, thus bolstering optimism that the common area is on the right path. However, German ZEW economic sentiment came in weaker than expected, pretty much discarding any potential gains. As a result, the euro/dollar pair ended just 11 points higher at $1.3934. Inflation in the Eurozone surprisingly slowed in February, putting renewed pressure on the European Central Bank to act against falling prices. With the rate having been below 1% for 5 months now, many will wonder whether this is the new norm. Despite that, the euro/dollar exchange rate finished just 8 points higher at $1.3921, paring back some early losses. The euro climbed 43 points to $1.3910 against the dollar on Friday, the strongest close for more than two years. Earlier in the week, ECB President Mario Draghi said that the central bank is monitoring gains for deflation risks. Going forward, any potential disappointment on the US economy could support a rally in the EUR/USD pair towards the $1.40 mark.